Although they look as if they are from far in the future compared to the typical dress of today the shoe model and movie represented upon them are both over 15 years old. 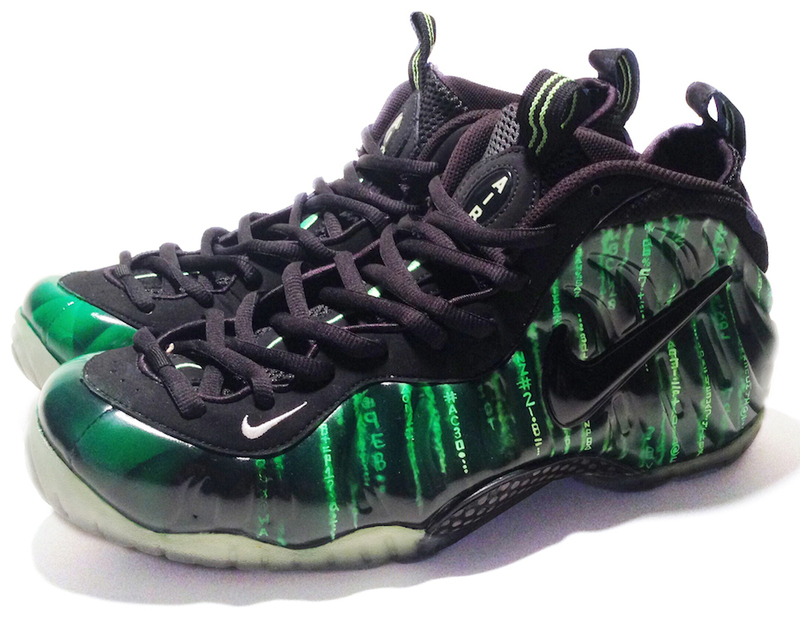 Two late 1990’s icons of their respective field, the Nike Foamposite Pro and The Matrix become one thanks to SmoothTip. While he conquered the galaxy print long ago, Roberto of SmoothTip Productions has added yet another pattern into his arsenal. That pattern is the recognizable string of downward flowing characters known as the code used to symbolize and differentiate the real world from the Matrix throughout the movie. What was once the “electric green” Foam Pro was given a black overlay with a meticulously airbrushed and hand painted detail to mimic the on screen look of the code.